The only excursion that leads you up to 2900 metres! 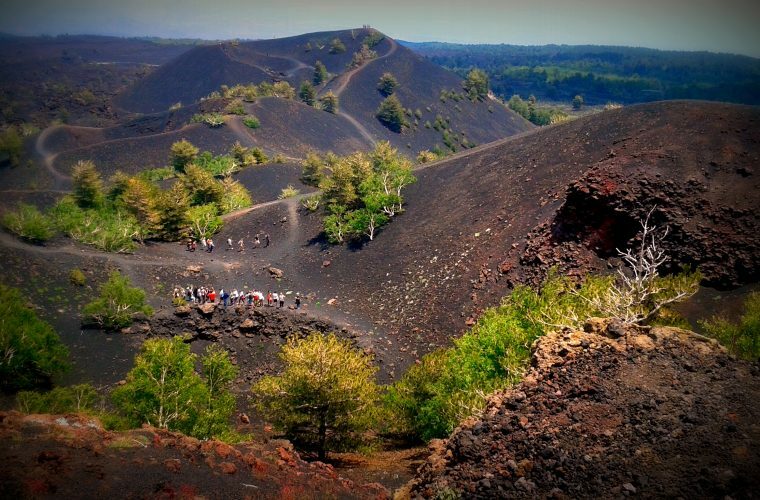 Reach the base of top craters of our Volcano with our Etna Top Easy tour! First stop : We will reach first the tourist station in the area of ​​the Sapienza Shelter. The excursion begins by taking the cable car up to 2500 m, and then up to 2950mt, at the base of the summit craters, thanks to a special 4×4 vehicle/minibus. 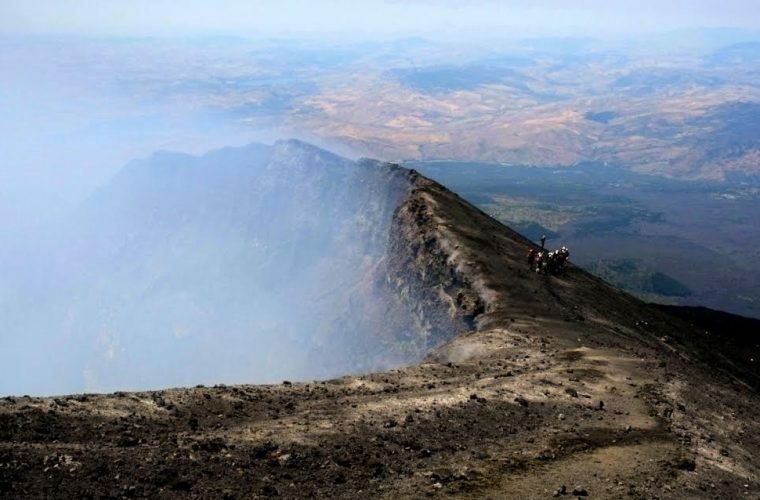 You will admire one of the volcano’s active craters closely. Second Stop : Back at 2000 meters, you will have a break for lunch, based on Sicilian specialties and good wine (offered by Etna Experience), which will take place in an outdoor area or at one of the typical shelters of Etna. Third Stop : After lunch, our naturalistic guide will accompany you along a light trekking course, depending on the meteorological conditions and the composition of the group, along the path of Monte Nero degli Zappini or a suggestive area of extinct craters, the Silvestri Mountains. Fourth stop : In the afternoon, you will visit a cave of volcanic origin: you will explore the depths of our volcano safely provided with helmets and torches. Our expert guide will introduce you, with some notion of speleology, to fascinating side phenomena to eruptions. For this tour we require a prepayment of half of the total amount to secure the booking. 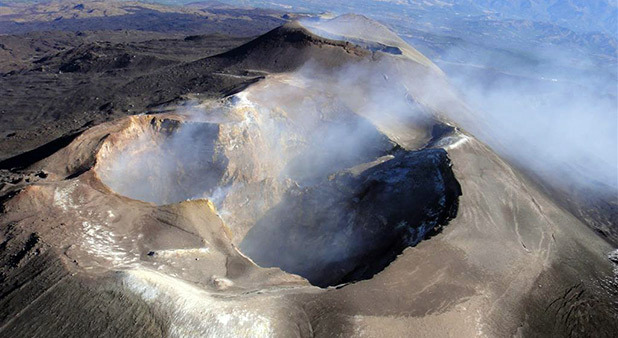 The four major craters are: the Chasm and the New Mouth, forming within the Central Crater in 1945 and 1968 respectively, the North East Crater, existing since 1911, which is currently the highest point of Etna (3330 mt), and finally the South East Crater, born in 1971, which has recently been the most active of the four craters. This configuration contrasts considerably with that of about a century ago, when at the top of Mount Etna there was only the Central Crater. Until recent times, mount Etna was considered a mostly effusive volcano, which is characterized mainly by the lava casting. The volcano can cause material damage but it actually does not represent a direct threat to the lives of 900,000 people living in potentially hazardous areas. 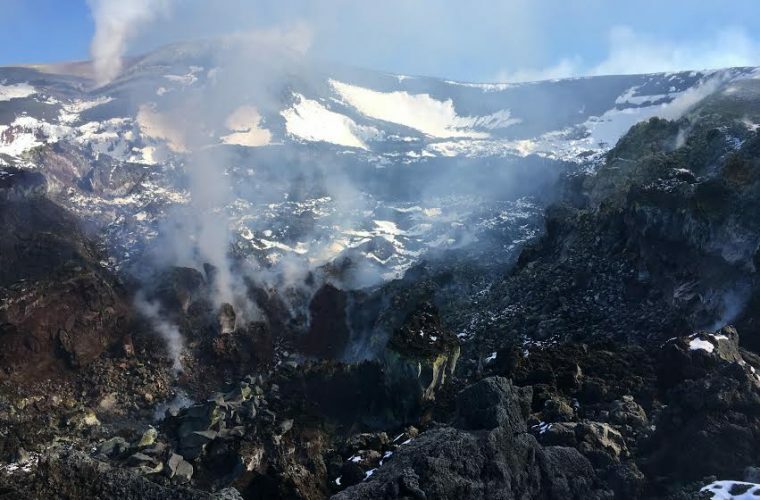 However, recent studies have revealed that this volcano is also capable of producing a highly explosive activity, such as the 122 ° C gas discharge. More recently, especially since the late 1970s, a strong increase of eruptive explosive episodes has been observed, above all, in the top craters.